Kimbe Bay Conservation. It’s a long journey from Papua New Guinea to the Red Sea. But the way Max Benjamin tells the story, it took a trip to diving’s Mecca for him to fully appreciate what was beneath the surface of his own back yard. That was 1978 and Sharm El Sheik, at the northern end of the Red Sea, was generally considered to offer some of the very best diving in the world. 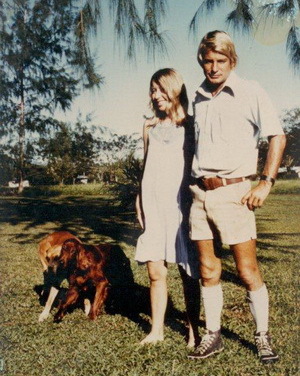 Back then they were the new owners of the 800 acre Walindi palm oil plantation on the shores of Kimbe Bay. They had learned to dive a few years earlier assuming what they saw underwater in Kimbe Bay was quite normal. It was only after they experienced what the Red Sea had to offer did they realize just how special Kimbe Bay was. 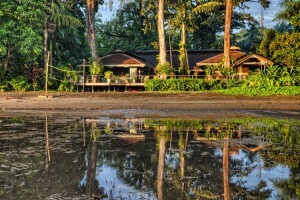 And the rest is, as they say, history and in 1983 they started Walindi Plantation Dive Resort. But less well known though is what Max and Cecilie have done to preserve the unique biodiversity of Kimbe Bay. As a direct result of their epiphany on the shores of the faraway Sinai Peninsula. Papua New Guinea traditional society is based on a very strong allegiance to clan and tribe. To this day almost 85% of the population still lives a village-based subsistence lifestyle. Very little land in PNG is privately owned. Rather than individual ownership, the vast majority falls under the communal ownership of the multitude of tribes that are the fabric of the country. Which means that quite uniquely, the stewardship of the land, and in coastal regions the associated areas of the sea, is a shared responsibility led by the tribal elders. The land and the sea provide what the villages needs to live. Therefore it is in the interests of the clan, and the greater tribe, to manage those resources. Basically in what we in the “developed world” would refer to as a sustainable manner. But to the villagers this is simply common sense. As fouling one’s own nest would surely be a profoundly stupid thing to do. A lesson we in the developed world are slowly but surely coming to terms with! The PNG stewardship system evolved simply because it had to do. And it worked extremely well for a very long time. But in the late 1980’s things began to change as large scale palm oil development and increased population density dialed in new factors in to the complex biodiversity equation that is Kimbe Bay. The cultivation of high yielding oil palms in large plantations is a critical export-orientated industry in a province like New Britain that has virtually no other major industries. And its labor-intensive methodology provides a significant number of employment opportunities for the local population. But, as with all things, there is also a downside and in countries like Indonesia and Malaysia the palm oil industry has received considerable negative press because of the common practices of draining and burning peat land and clearing primary rainforest to establish new plantations. In New Britain these practices have largely been avoided. As the major producer, New Britain Palm Oil, has a very proactive approach to the sustainable development of plantations. The increasing population placed far greater pressure on the local terrestrial and coastal ecosystems. Because of the rising demand for food, firewood and building materials plus a significant increase in pollution. Further compounding the situation, as new people and new ways flooded in to the area, was the move away from the traditional cultural practices in sustaining the subsistence lifestyle of Kimbe Bay. Both Max and Cecilie Benjamin are trained agronomists. 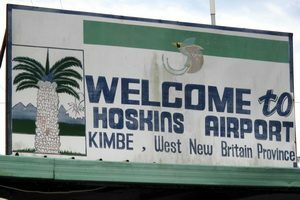 By the early 1990’s it was becoming obvious to them that, if left unchecked, the changes occurring due to the population growth in Kimbe Bay could only degrade its pristine environment. In 1993 Max and Cecilie joined forces with the local government and The Nature Conservancy (TNC). The plan was to develop an overall long-term conservation strategy for Kimbe Bay. Which would also support sensitive and sustainable tourism development in the area. TNC is a respected not-for-profit organization. 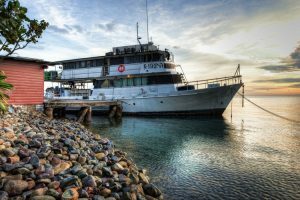 It came on board knowing that while Kimbe Bay faced environmental challenges going forward, it had largely escaped the ravages of cyanide and dynamite fishing associated with the live reef fish trade, which had wreaked so much damage to coral reefs across Southeast Asia. The following year TNC, supported logistically by Walindi, carried out the first ever evaluation of the marine environment of Kimbe Bay to try and quantify its biodiversity. A Rapid Ecological Assessment (REA) was conducted with a specific focus on the coral reefs of the bay. Which, although considered to be little more than lifeless and indestructible rock formation by the native people of Kimbe Bay, still lay a very important role in local culture and mythology. The results of the REA were staggering as they revealed for the first time the magnitude of the bay’s marine diversity. A total of 860 species of fish and 345 species of stony corals identified on the 78 sites visited! To safeguard that incredible diversity would require an innovative and proactive approach, the key to which was education. For if the local people do not appreciate what is under the water in Kimbe Bay, how can they be expected to preserve it? Unusually for PNG, the people of New Britain have a limited connection with sea. 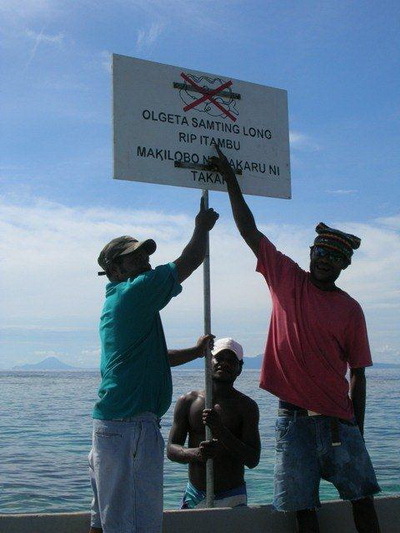 Working with TNC and the EU’s Islands Region Environmental Program, Max and Cecilie established Mahonia Na Dari (Guardians of the Sea) in 1997 on land they owned next to the resort. 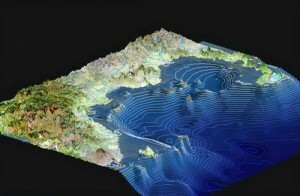 The goal of Mahonia is to develop and instill an awareness of Kimbe Bay’s unique environment. So that its protection and conservation can become self-fulfilling. 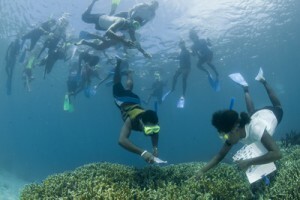 It does this by educating the young people of the area through its Marine Environment Education Program (MEEP). The program takes students out on the water where they can see things first-hand and better understand the need for the conservation and protection of Kimbe Bay. MEEP has been very successful and has led to three student focused versions being developed. Baby MEEP for elementary schools, Junior MEEP for primary schools and Intensive MEEP for secondary schools. A Teachers MEEP has also been developed. Which enables primary school teachers to conduct classes in their schools. Overall it has been estimated that Mahonia Na Dari’s programs have benefited directly or indirectly in excess of 200,000 people since it was first established in 1997. As the old Chinese saying goes… If you are planning for a year, plant rice; if you are planning for 10 years, plant trees. But if you are planning for 100 years, plant education. 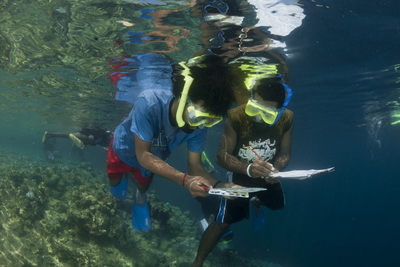 Locally Managed Marine Areas (LMMA’s) are a well-established strategy throughout the Pacific Islands. They are considered as the best way to help local communities self-manage their marine resources in a sustainable manner. While also ensuring a high degree of protection for the environment. However in an area such as Kimbe Bay where the sea is considered an unlimited resource. Reefs are thought of as lifeless rocks, so LMMA’s in isolation would have little chance of success. Much has been learned since the first LMMA was established at Kilu next door to Walindi in 1998. With the village elders proving to be a key ingredient to success. As they intuitively understand the basic need for conservation and sustainability. And help to cascade the message down through the village ranks in the local dialect (Tok Ples). A major obstacle to overcome, as additional LMMA’s were established was the culturally intricate nature of the Kimbe Bay area. Which has more than 100 socially diverse communities. With each one holding complex and often overlapping traditional rights to sea resources. It was essential to establish clear boundaries for the LMMA’s. And then quantify the initial situation through evaluations of coral growth, sea grass coverage and species count within those boundaries. 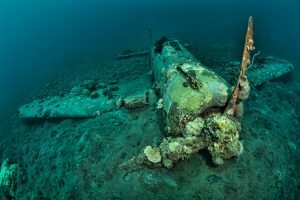 Once quantified and understood, no-take zones could be established to allow recovery on the damaged reef areas and open areas where fishing is allowed. A crucial component of the overall MEEP and LMMA programs was to halt and eventually eliminate the spread of “poison rope” fishing and prevent the encroach of dynamite fishing. 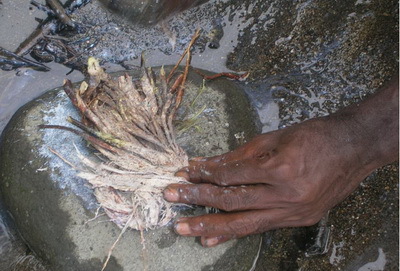 Poison rope fishing uses the naturally occurring Derriss Root plant. The roots of which are mashed with a rock into a white pulp which is then jammed into the coral by a fishermen swimming down to the reef top. The pulp of the Derriss Root contains the poison Rotenon, which kills small fish and coral polyps, but forces larger fish to the surface where they are easily caught. With no real awareness of the destructive impact of the Rotenon. Poison rope fishing can appear to be a very effective way to catch fish. However, the reality is that it is potentially as destructive as cyanide fishing! 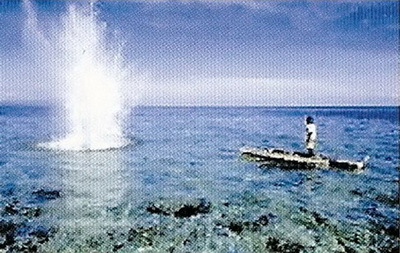 Besides the personal dangers, dynamite fishing completely decimates the area of a reef its shock wave touches. Funding for boats and engines by the provincial government enables the villagers to monitor their no-take and open area zones. Plus keep poachers at bay… While Mahonia provides periodic audits to keep the system honest and encourage sustainable fishing practices such as hand lines and spears. There are now a total of 8 Locally Managed Marine Areas established in the Kimbe Bay area. With more planned going forward. And they have proved to be the single most effective way to manage the environment.